The dazzling faith Engagement Ring styles an Oval Brilliant cut Diamond above sparkling channel set Diamond shoulders. 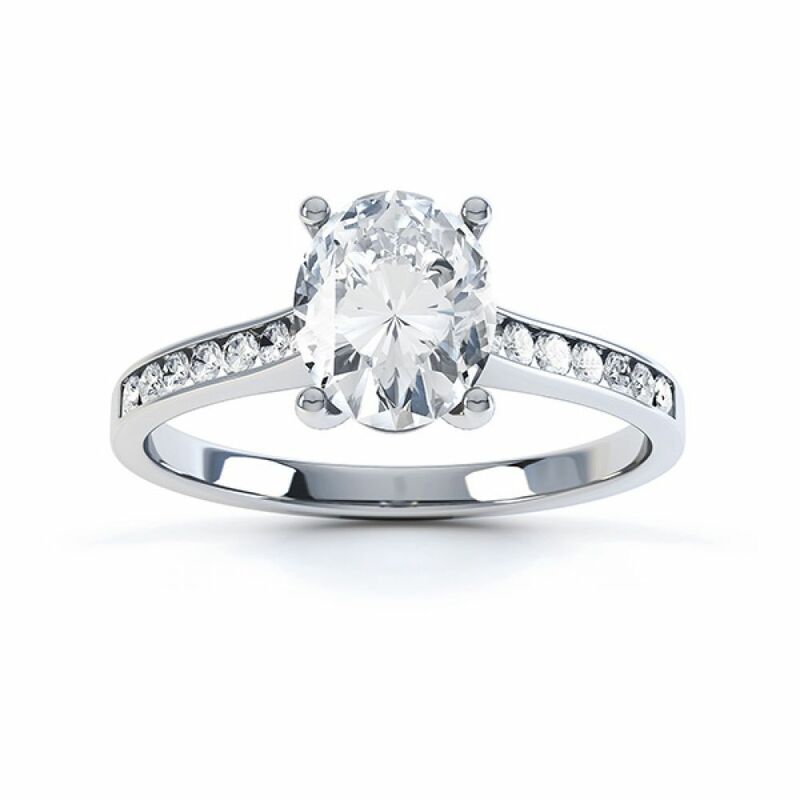 The additional 0.12cts of Diamonds sit perfectly across each shoulder below a Wedding Ring friendly setting. This spectacular Diamond ring is crafted in your choice of 18ct Yellow Gold, 18ct White Gold, 18ct Rose Gold and 950 Platinum. 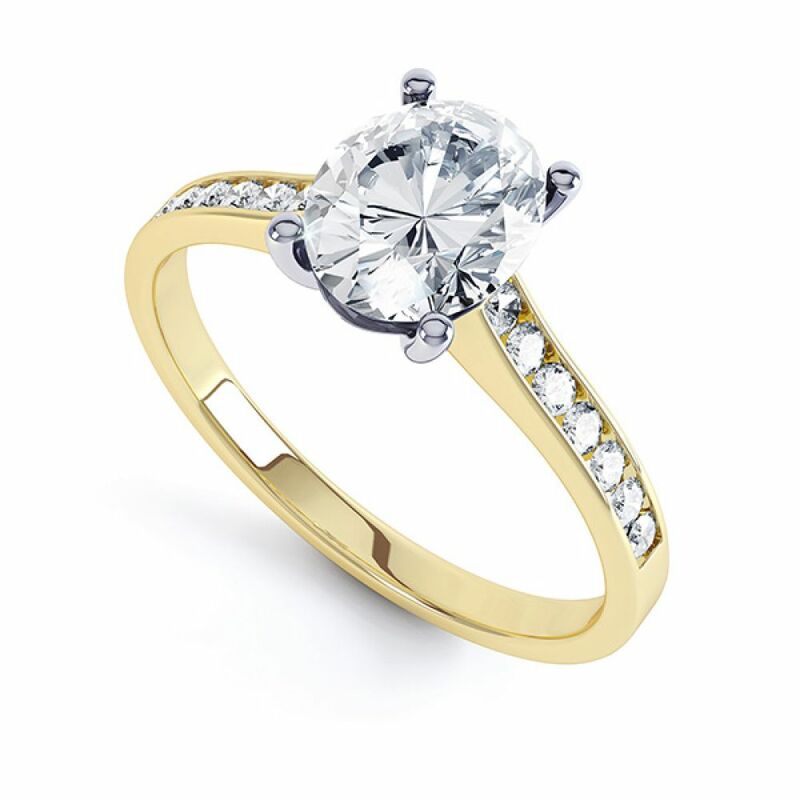 We can also offer 100% ethically sourced Fairtrade Gold. 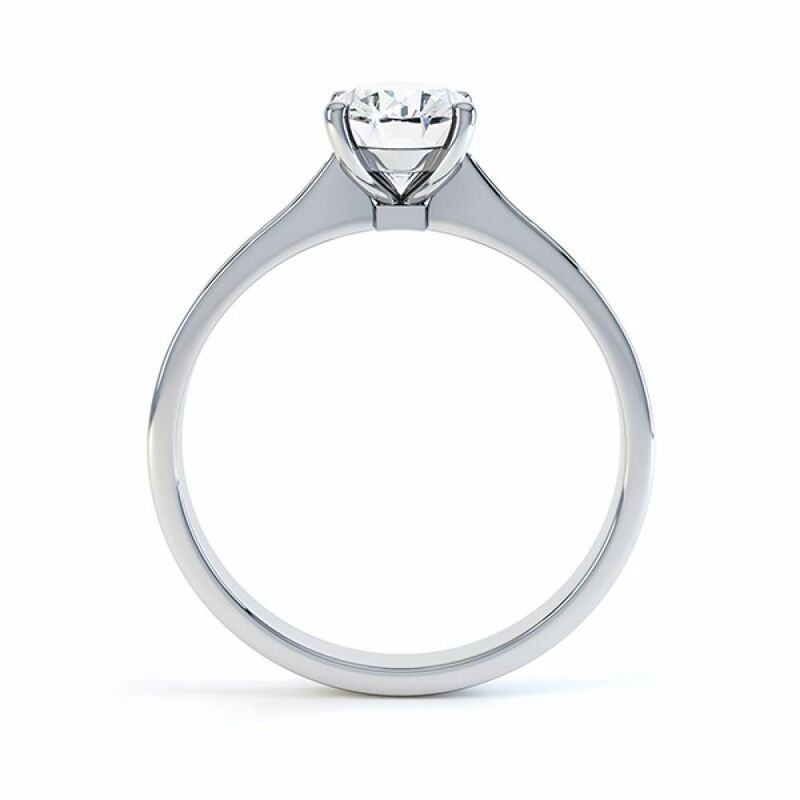 Our dedicated Wedding Ring service gives complete support with a wide range of matching Wedding Rings including a matching channel set diamond band to sit perfectly alongside. Your completed ring will be delivered to your door in our beautiful bespoke packaging with the added reassurance of our 60 day returns policy and a free finger size adjustment should you need it. Beautiful ring; fast, polite and flexible service. Highly recommend!